HomeBusinessSales & MarketingHow to make 100 dollars a day online?? If you are reading this it is quite likely that you have recently started to wonder about the world of online marketing, sales and the ever elusive “passive income”. At some point almost everyone who has ever been involved in online business wonders how to make 100 dollars a day online? For the purposes of this article I am going to assume you are indeed one of these people on a search for a way to generate an income online. So why $100 a day? Most people will probably agree that regardless of where you live in the world $100 a day or $3000 a month is a good starting point. For some this is a full time salary, for others it is an awesome second income. Eitherway it’s a great target to start with and is often the breaking point which allows many to leave their 9-5 day job and make the leap to full time entreprenuer. For those who have not experienced the business end of the web it can all seem a little strange and unbelievable. Do people really work online with just a laptop? Can I really travel around the world and make a living with a wifi connection? Well the answer is yes. It is real and you can achieve it. Just one point of warning. If you are offered an “opportunity” that claims to be a plug and play way to make easy money chances are it really isin’t and you will most like end up spending your own money and getting nowhere. There are many, many, many (did I say many) ways to earn a living online, a good living too. So do me a favour and before you dive head first off the online cliff of mystery, pause for just a moment and consider your options. The upside of online is like I said above. I personally work from home. If I need to travel I can still work since I have an internet connection almost anywhere. This is amazing for all sorts of reasons. I have a young family so I can design my workday around whatever schedule is needed and if I need to take a day off at short notice I can. Want to work in a different country for a month? Do it. That is the beauty of any online business. What are these options you speak of? Wait what? I thought you said if an online business needs money I should run away! Let me explain. Take the Time to learn how to build a website from scratch. This can be a long road but can be a great option in the long term as it’s also a marketable skill you can then offer as a service if desired. Pay someone who already knows how to do this to build a website for you. This is generally faster but of course requires the capital to do so in the first place. As a rule of thumb in my experience you need at least two of the above eg time + skill or money + time etc. Is a website my only option? Websites are not the only option. You have lots of options with social media channels and third party blogging platforms etc. However remember that social networks and trends come and go. There was a time that a Facebook business page was a powerful tool and many business’s opted to essentially use them as a website replacement. In recent times the visibility of these sites has changed dramatically leaving many business’s with very little online presence. If you have your own website you own it and control it. Think of it as being the master of your own domain (no pun intended although you will need one of those, I recommend the guys at namecheap). If you want an all inclusive option check out the guys at WP Blender here. That way you always have a foundation from which to grow. This may be for a service bases business you operate or a product you sell or even a content business. Regardless of what it is a website is a great place to start. I’m new to this. Are websites hard to build? This is a yes and no answer I’m afraid. Is it hard to build a complex website with booking systems and search engines like hotels.com or airbnb.com. Yes absolutely. On the other hand is it hard to setup a blog or basic WordPress website for a local business or content based blog? Not as complex as you might think. You can check out my guide on how to do this from A-Z here. 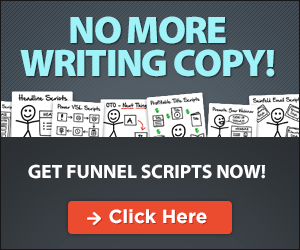 There are also a wide range of web page builders like Clickfunnels for example. They are designed to make it easy for those who have never learned to code or build websites to get online. Check out more info here. It is a little hard to give a single answer to the question “Where do I start?” but I would say it really comes down to two choices if you are a complete beginner. Use a skill or bank of knowledge you have to create your own product (could be a physical or info product such as a course) or service and offer it to the public. Learn the skills needed in building and promoting an online business by promoting other peoples products and services as an affiliate. This is called affiliate marketing and I will go into more detail on this shortly.